The PSC offers winter sports vacations to resorts around the world for skiers and snowboarders who want the fun, companionship and convenience of group travel. Our members have one thing in common: they like to ski! On any given trip you'll find PSC members waiting for the lifts to open in the morning and on the last lift up at the end of the day before the lifts close down. Although our focus is primarily on skiing, we also offer non-skiing summer vacation trips to Europe and other destinations. Our members also share another trait: they like to socialize, either on the slopes skiing together or over good food or drink. The PSC doesn't run weekend trips or trips to local resorts. We concentrate on vacation ski trips to destination resorts. Our trips typically run 6-7 days. As a group, we can bargain with travel agents to keep costs reasonable. We normally stay in quality condo or hotel properties located near the slopes with nearby shops and restaurants. The PSC is based in the Washington, DC area, but we have members from across the U.S. The club was founded in 1966 in the Office of the Secretary of Defense, located in the Pentagon—hence the name Pentagon Ski Club. Our club continues to have members that currently serve or have served in the military, plus many current or former federal civilian employees. However, the club has no official connection to the Pentagon, the military, or the U.S. government. Many members work in private industry and have never been in the military or even inside the Pentagon. The club is open to the general public. Anyone can join! Read the Letter from the President on the About Us page and see the Join Us page. These will give you a good introduction to the club. The club holds monthly meetings, usually on the 2nd or 3rd Tuesday of the month, not far from the Pentagon at Fort Myer, Virginia, in Patton Hall (the building formerly known as the Officers' Club). You do not have to be in the military to enter Fort Myer and attend the meetings. Upcoming meetings are listed on the Meetings page. See Directions to Meetings page for driving directions and a map, and review the item on Entry to Ft. Myer. Club members also enjoy the benefits of membership in the Blue Ridge Ski Council and the National Ski Council Federation. Our members may participate on ski trips that have been "sanctioned" by other BRSC member clubs without having to join the other clubs. This gives our members access to a wide range of trips to choose from. HF Chicago brings WW II, Korean War and Vietnam War veterans to the DC area seven times a year, starting in April and running through October. They fly from Midway Airport in Chicago to Dulles Intl Airport and come in only on Wednesdays each month. We have area law enforcement agencies helping with their color guards, the City of Fairfax Community Band providing music, and many citizens who come to just greet our veterans and show them some love. We ask that folks who wish to come out and greet these heroes plan to arrive by 8:15 AM and park at Garage One (down the street from the Marriott Hotel), grab a parking pass (don't enter a credit card), and park downstairs near the elevators that lead to the main terminal. You take the elevator to the lower level and start a 10 minute walk to the main terminal via the moving walkways. One reaches a Y where you could go left or right, so take the right escalator and come up the ramp and into the terminal. Once inside, turn left and look for the USO (across from Baggage 12) and find Arnie Daxe, a PSC member and volunteer for Honor Flight Chicago. He will guide you upstairs where all volunteers and greeters assemble (near Emirates) in time for the 8:45 AM orientation. This is the area where you will get your parking pass stamped. The SW plane lands around 9:30 AM. Wear comfortable clothes, bring a camera or use your mobile phone to record a bit of history. Kids are welcome. It will be an emotional and exciting experience you won't forget. The entire event is over around 11:15 AM. Our annual picnic will be held again at the Spates Community Club at Ft. Myer (214 McNair Road, Fort Myer, VA 22211 — on the west side of the road between the PX and the bowling alley). All the food (which will be served until 2:00pm), including iced tea, will be catered, courtesy of the PSC. A cash bar will be available for other beverages of your choice. Trip leaders will be available to answer questions about upcoming trips for the next ski season. We plan to put our full slate of trips online for signups soon after our Summit meeting (item below). We'll send an email to let you all know when you can begin registering. 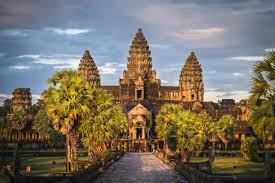 In the meantime, signups are already up and running for our February 2020 BRSC Asiafest trip to Japan and our Oct/Nov 2020 trip to Vietnam & Cambodia (announced above). HF Chicago brings WW II, Korean War and Vietnam War veterans to the DC area seven times a year, starting in April and running through October. They fly from Midway Airport in Chicago to Dulles Intl Airport and come in only on Wednesdays each month. See more details to the left. No routine Council meetings are currently scheduled, but our annual all-day Summit meeting will be Sunday, May 19.